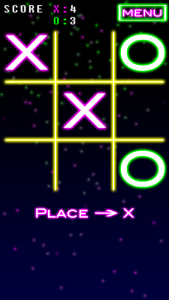 NeonTic Tac Toe is the classic addictive two player Tic Tac Toe board game that is now looking more thrilling than ever with its beautiful neon theme. 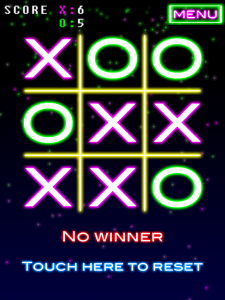 Play against your friends and try to beat them! 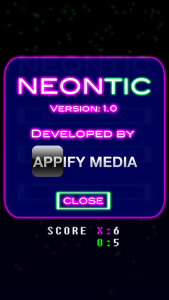 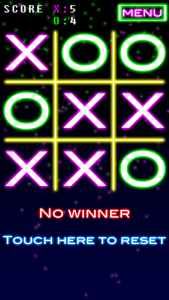 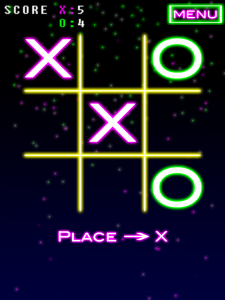 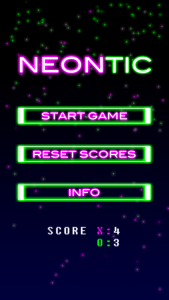 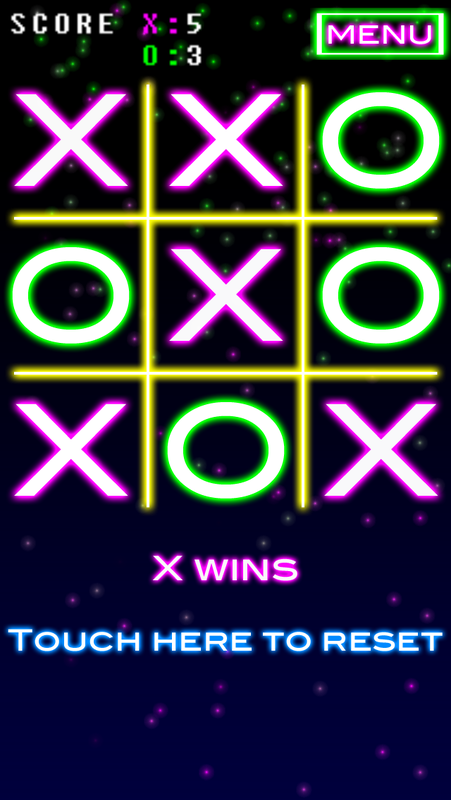 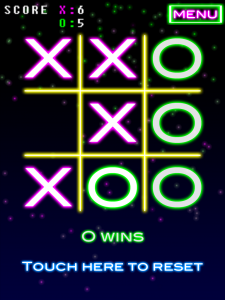 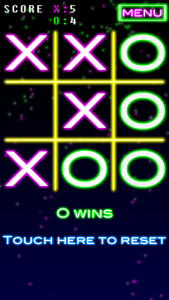 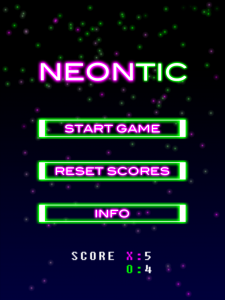 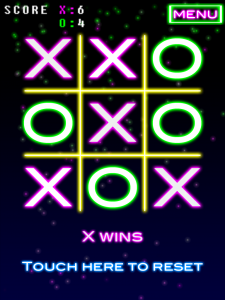 NeonTic Tac Toe is now available from the Apple App Store for iPhone, iPod and iPad. 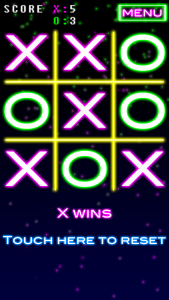 A future release will have support for Android and Windows Phone devices.